Project Manager for the implementation of the US$2.5-billion Vernamfield development project, Colonel Oscar Derby, addressing the town hall meeting. A census is to be conducted shortly in the communities surrounding the US$2.5-billion Vernamfield development project in Clarendon to determine among other things, the number of people living in the areas, as well as the number of households. This was disclosed recently by Project Manager, Colonel Oscar Darby, who will be coordinating and overseeing all the activities pertaining to the project. 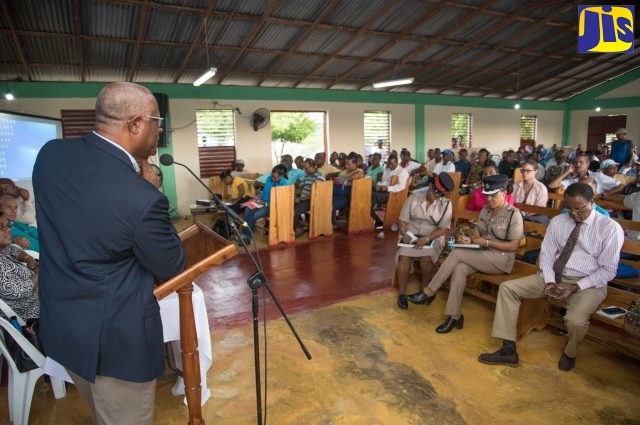 “We have to know the demographics," Darby said, while addressing a Vernamfield Development Town Hall Meeting, held at the Power of Faith Ministries, Gimme-me-Bit, Clarendon, last Thursday. Dubbed, 'Aerotropolis Vernamfield', the project, which is about to enter its first phase, involves the development of lands that previously housed an army base, as an aerodrome to provide international air cargo and logistics services, maintenance, repair and overhaul (MRO) services and an aeronautical training school. Colonel Darby said the surveys will be done by engaging people under the Government's Housing, Opportunity, Production and Employment (HOPE) Programme, which provides educational and job opportunities for young people. “They will be given six weeks training in values, attitude and work ethics, and then they will undergo an apprenticeship in whatever area of activity they are going to participate in, during the project,” Colonel Darby said. “This will include maintenance of the airport after it is bushed. So, the youth in the community will be recruited under that programme and will participate…to the extent that the programme allows,” he added. It is expected that other people from the community will also be employed under the project. In the meantime, Colonel Derby said the first phase of the project which gets underway this month, involves the development of the first 170 acres of land designated for the project and is to be undertaken by the Airports Authority of Jamaica. 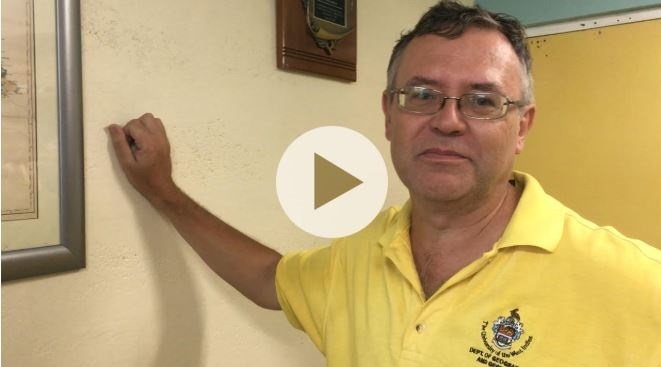 “Very soon, the contractor for the bushing will be starting that job and you will see Vernamfield begin looking more like an airport, rather than just a track to go from Gimme-me-Bit to the other road,” Darby told community members. The first phase of the project will also see the start of general aviation activities, including hands-on flight training; initial MRO activities; crop dusting; and the establishment of hangers to accommodate aeronautical activities, which would be transferred from the Tinson Pen Aerodrome to Vernamfield. Space will also be provided for parking and buildings for the general public, airside and landside buildings and other facilities for the Jamaica Defence Force, whose Air Wing will also be relocated; as well as Tinson Pen staff and stakeholders. The aerotropolis concept is a new urban form where cities are built around airports to speedily connect time-sensitive suppliers, manufacturers, distributors and business people to distant customers and markets. The concept combines airport planning, urban planning, business site planning to create a new sustainable urban form. 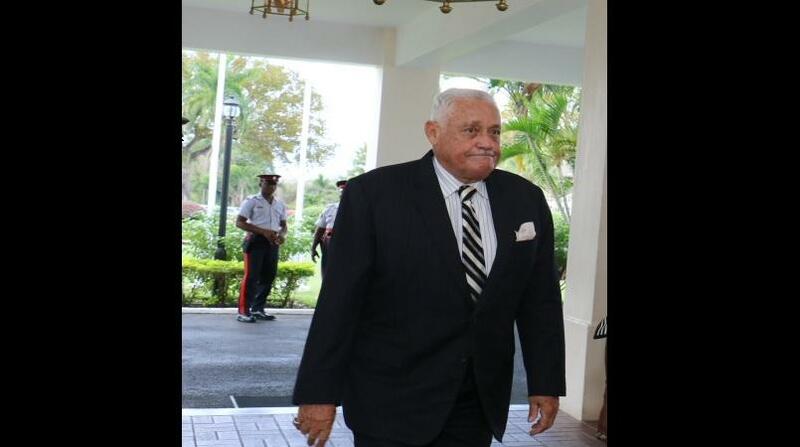 It aims specifically to facilitate Jamaica becoming the fourth logistics hub in the world.